Contoh Review Text (Benda) - Melanjutkan Contoh Review Text (Film), pada kesempatan kali ini penulis menghadirkan Contoh Review Text (Benda). Tentunya semakin banyak contoh tentang Review Text semakin kita paham tentang penjelasan mengenai Review Text itu sendiri. Baiklah, hari ini penulis hadirkan contoh review text mengenai handphone yang lagi diminati banyak orang sekarang ini. Galaxy W looks the same as most of the other galaxy phones. Rectangular, black and gray, rounded corners and curved edges. This similarity is not a problem for us who have become loyal fans of the Galaxy Series especially for those who want to upgrade their handsets. Seen from the side of the Samsung Galaxy W has a body more "fat" than the Galaxy S2. This shape causes the impression of a premium to fade, it's natural for a cheap mobile phone category so no one should be blamed on the design. This phone feels flat hands, powerful, sturdy, cheap and plasticky impressed. It seems that Samsung does provide these features to reduce the price as cheap as possible. A 3.7 inch screen does not use super AMOLED because it is designed for medium consumers do not like his brother S2 dedicated to the upper middle class. Resolution of 480 × 800 pixels is quite satisfactory when used to browse, view photos and play videos. In the back we will find a 5MP camera comes with LED flash. We ourselves are still not able to test the capabilities of this camera, most likely the same as the camera on the other galaxy handsets 5MP in size. Samsung Galaxy W to be one of the favorites for the loyal fans of the Galaxy Series phone line because the prices are relatively affordable in addition to the specifications also fairly competent. Advanced features that sets it as a screen measuring 3.7 inches with a depth of color that can reach 252 ppi display colors sharper and brighter. Additionally equipped with a kitchen runway section 1.4 single core processor combined with Android 2.3 so we do not have to worry when you want to search for apps in the Android. 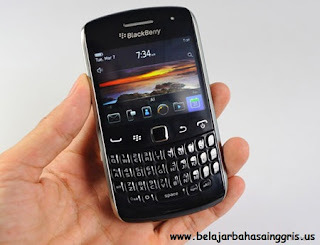 Blackberry Apollo introduced by RIM last year precisely in August of 2011. This smart phone is equipped with 2G and 3G HSDPA. It has a size of a very thin only 11 millimeters or full dimensions 109 x 60 x 11 mm and weighs only 99 grams. But although the handset is quite steady handful and its QWERTY keyboard is also responsive when used for typing messages and chat. Another convenience offered by one of the best-selling type of Blackberry users is the flexibility to expand the storage capacity up to 32GB using MicroSD. Slot is what will help us when storing images and video camera catches a very limited due to the internal memory of 512MB. To simplify the process of multitasking Blackberry Apollo rely RAM capacity of 512MB. With capacity is likely we will be able to run multiple applications without having to shut it down first. Performance and capacity are also not be underestimated, camera body rear 5-megapixel resolution rose is equipped with LED flash that can store images up to 2592х1944 pixels. Applications camera capable of capturing facial motion or face detection, Geo tagging and image stabilition. To run 7.0 RIM Blackberry operating systems rely on the processor speed of 800Mhz so open application process does not require a long time. In fact there is almost no lag at all when we used to chat and browse using the default browser Blackberry Apollo. For the medium-size class variants blackberry smartphone this one has enough features to support such a screen size of 2.4 inches with 246 ppi density of color achieve that though only display a 65k color but it looks very sharp and classy besides Blackberry Apollo has also been equipped with Touch-sensitive optical trackpad. 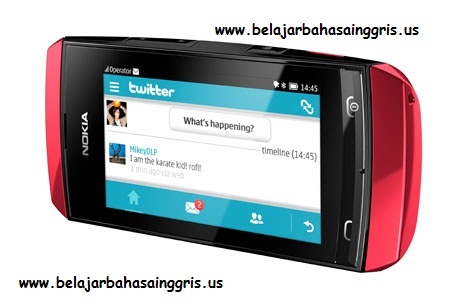 Nokia Asha 306 officially introduced by Nokia and has attended some time ago in Indonesia. The design is the same as that carried such as Nokia Asha Nokia Asha 305 and Nokia Asha 311 uses full Touchscreen. This phone has the longest section of 110 mm and a width of 53mm and thickness of only 12.8 mm with a total weight of 96 grams. On the front there is a 3-inch screen size has only 56k color depth and color density of 155 ppi. There are no special features of the phone that can also be referred to as the smartphone lite. But the matter of prices, which certainly will be more affordable than a smartphone like android and apple. Only 10 MB of memory capacity give free for us who like to save the file, luckily this capacity can still be expanded up to 32GB with additional microSD slot that has been provided in the body of the Nokia Asha 306. When you first launch some time ago Nokia Asha 306 is priced at Rp 850,000 with several fittings such as handsets, manual, data cable and earphones. As a supporter of performance, this phone is equipped with a battery capacity of 1110 mAh Li-ion battery type. According to Nokia claims the battery is able to last for 600 hours of standby time while 14 talk time. Although fairly fit - barely the article we should be proud of this phone which is equipped with Wifi, Bluetooth and microUSB. The main camera on the back has a 2MP sensor capable of producing images of 1600 × 1200 pixels. Other sensors are quite entertaining that is the acelerometer and FM Radio. The rest we do not know the details as to what, because this phone has not been entered in Indonesia.